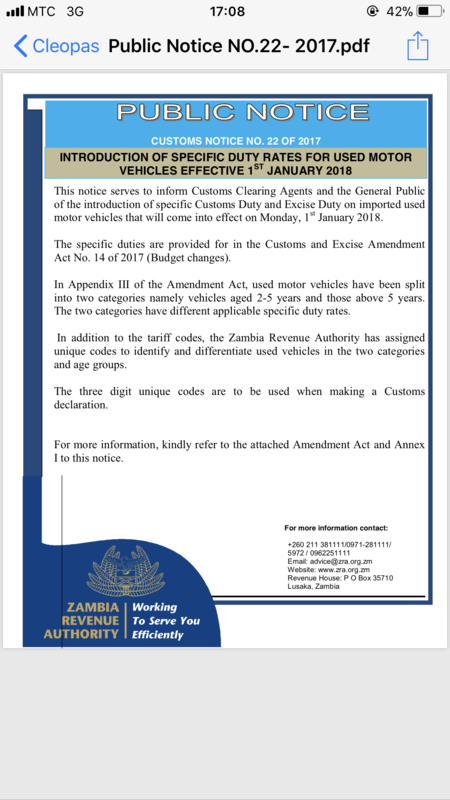 This is the new year present to Zambians from PF. Starting tonight, if you buy a used car, you will pay more exorbitant taxes. Taxes on imported cars are already too high sometimes two times higher than the price at which a car was bough in exporting country. 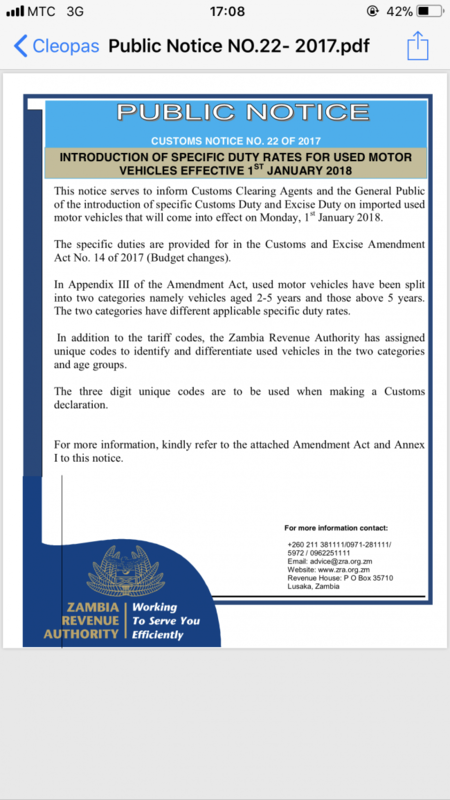 More than 80% of cars imported into Zambia are second hand, meaning they will all be affected by the new extremely high taxes.